Netflix has released a new trailer, clip and poster for the third season of their highly acclaimed series "Orange is the New Black". 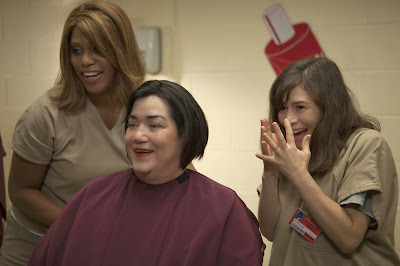 The show has already been renewed for a fourth season with creator Jenji Kohan still at the helm. The new season will make several changes. Jason Biggs will not be returning but the cast will be reinforced by new arrivals Mary Steenburgen, Mike Birbiglia, Ruby Rose and Lori Petty. 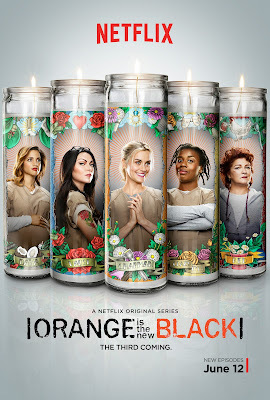 The series stars Taylor Schilling, Laura Prepon, Danielle Brooks, Samira Wiley, Yael Stone, Lea DeLaria and Uzo Aduba. "Orange is the New Black" season 3 premieres Friday, June 12th, on Netflix. "The women of Litchfield unapologetically return for the third coming. With a crisis of faith and their beliefs and loyalties being tested, each character must decide what and who to believe in. "